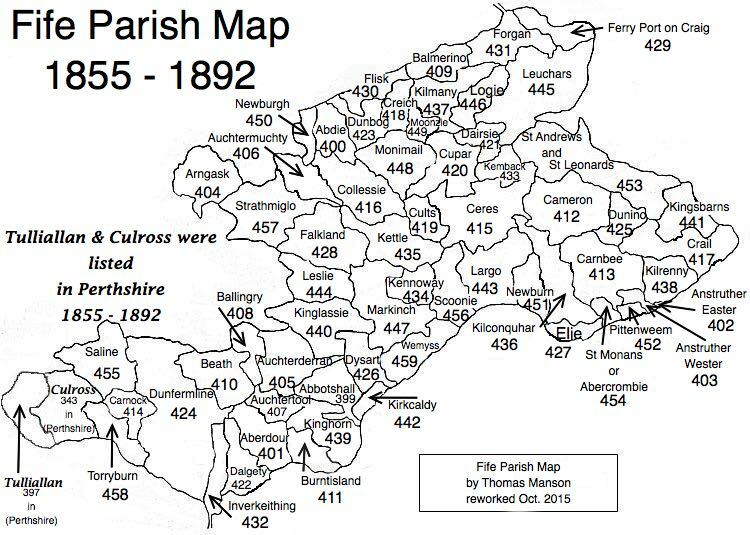 Parish of Strathmiglo – The Fife Post………..for genealogy and historical information. STRATHMIGLO, an ancient burgh of barony and a parish, in the district of Cupar, county of Fife, 2 miles (W. by S.) from Auchtermuchty; containing the hamlets of Westercash and Edenhead. This place derives its name from the river Miglo, which, flowing through the parish, divides it into two nearly equal portions, and afterwards assumes the name of the Eden. The old church, which was collegiate, belonged to the abbey of Dunkeld; the present church, situated at the east end of the village, is a plain edifice erected about the year 1785, and contains 750 sittings. There are also places of worship for members of the Free Church, Reformed Presbyterians, and the United Associate Synod.